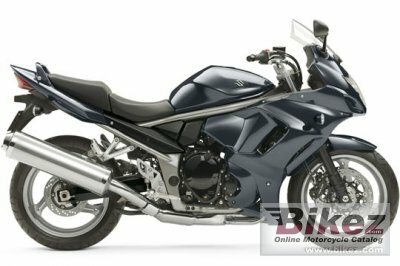 2014 Suzuki Bandit 1250F ABS. Picture credits - Suzuki. Submit more pictures. A state of the art liquid cooled engine sits at the heart of this serious machine providing smooth power and acceleration. In fact, with torque figures that are comparable to the GSX-R1000, but at a third of the engine speed, it produces phenomenal �roll on� performance. An adjustable seat height maximises rider comfort while the standard ABS enhances safety through improved stopping capabilities, completing this fantastic package. Price as new (MSRP): Euro 9390. Prices depend on country, taxes, accessories, etc. Ask questions Join the 14 Suzuki Bandit 1250F ABS discussion group or the general Suzuki discussion group.